It’s a simple fact that cybersecurity affects everyone. If just one computer is hacked, it can lead to millions of compromised accounts. Everyone has a responsibility in building a culture of cybersecurity. Everyone needs to work toward improving online safety and security for future generations. According to the Ponemon Institute, the number one reason for security breaches is careless workers and the second is poor password policies. To create a culture of cybersecurity, you must make cybersecurity a part of the DNA of your organization. Creating a culture of cybersecurity means that if you see something off or strange, you say something. It also means creating a culture where we’re all concerned, and you know who to contact when there’s a problem. In this blog, let's cover the three critical areas where creating a culture of cybersecurity is a shared responsibility. 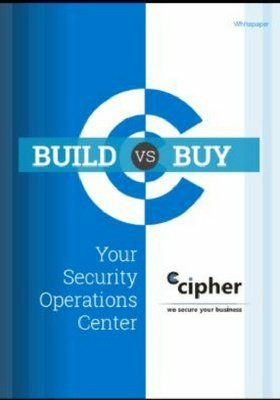 Shared responsibility starts with building cybersecurity best practices and basic business policies for security. You'll need to develop policies and standards that make it harder for criminals to obtain your valuable data assets. This is the first step toward building a culture of cybersecurity. Cybersecurity frameworks like the National Institute for Standards and Technology’s (NIST) Cybersecurity Framework help create a global directive for cybersecurity. These standards offer guidance on managing information security risks and help organizations improve their risk management programs. Interested in measuring your security maturity? We have a FREE self-assessment tool to gauge it. Ultimately, a cybersecurity strategy, best practices, and policies provide the business with long-term support and vision. Shiny security tools only place a Band-Aid solution to short-term problems. You need the security policies in place so that employees have a clear understanding of their limitations and responsibilities when it comes to security as well as how to protect your data with their role in mind. Whether personally or professionally, everyone needs to be focused on protecting data. It means not placing your Personal Identifiable Information on social media networks. And from a professional perspective, it means protecting your company’s critical data assets from risky security situations. It’s your employees’ duty and shared responsibility to safeguard any vital data they touch. Using better login authentication, backing up data, implementing and deploying software patches, and controlling who obtains access to various types of data are the types of preventative measures you should take to protect your data a.k.a. “The Crown Jewels.” Your employees and leadership need to know how these security processes take place to protect their assets and the business. Learn more about preventing a data breach with 5 tips from our security experts. Solidifying a culture of cybersecurity begins with education and awareness. Most employees want to comply with security policies, they just need to know what they are and the rationale that supports them. User awareness is a key ingredient, one that many would say is the cornerstone of any security program. So, it’s important that you offer cybersecurity training based on the best practices you established in your policies. It also means you continually and consistently communicate updates on new regulations and policies, hold regular annual or quarterly meetings, and conduct security onboarding training for new employees. Security awareness and education will empower your employees to be guardians of your business data. Ultimately, it instills the culture of cybersecurity and accountability that so few have today. Make sure your awareness program instructs employees on what critical data assets are, how to properly treat these assets, what the threat landscape is, and who to contact if and when a security event occurs. Empowered employees will likely fall off as the number one cause of security data breaches with more awareness and training programs. Employees will be a lesser worry for your security operations and can act an added impediment against today’s advanced threats and vulnerabilities with the right knowledge. Tell us about how you created a culture of cybersecurity at your organization in the comments below. We want to hear about your success!